Like millions of adults, you’d love nothing better than to have straighter, more beautiful teeth. Unfortunately, the thought of wearing metal braces probably doesn’t bring a smile to your face. 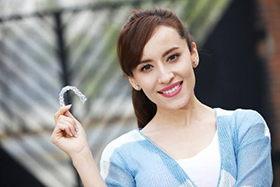 But now there’s Invisalign, a revolutionary orthodontic product that’s practically invisible. And for many people, that really is something to smile about. Invisalign is proven technology designed to give you the smile you’ve always wanted, without the pain and anxiety associated with metal braces. 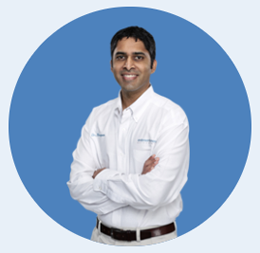 Invisalign works best for adults who need mild to moderate orthodontic alignment. Invisalign features a number of different case studies that represent a wide variety of cases including crowding, space closure, and more. Perhaps one will help you determine if Invisalign is right for you. But the only way to know for sure is to visit Dr. Anderson & Dr. Moopen, Invisalign certified orthodontists. An average Invisalign course of treatment takes about a year. You’ll see Dr. Anderson & Dr. Moopen every 6 to 8 weeks for adjustments and to check progress. 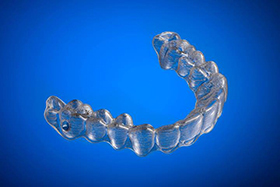 At regular intervals, you’ll receive a new set of custom-molded clear aligners to continue the straightening process. The total number of clear aligners is specific to you, determined by Dr. Anderson & Dr. Moopen for your course of treatment.